It’s that time of year…the end of summer that some of us moms are sad to see come and others have been ready for since the first child said “I’m bored” back in late June. Yes, it’s back to school time! 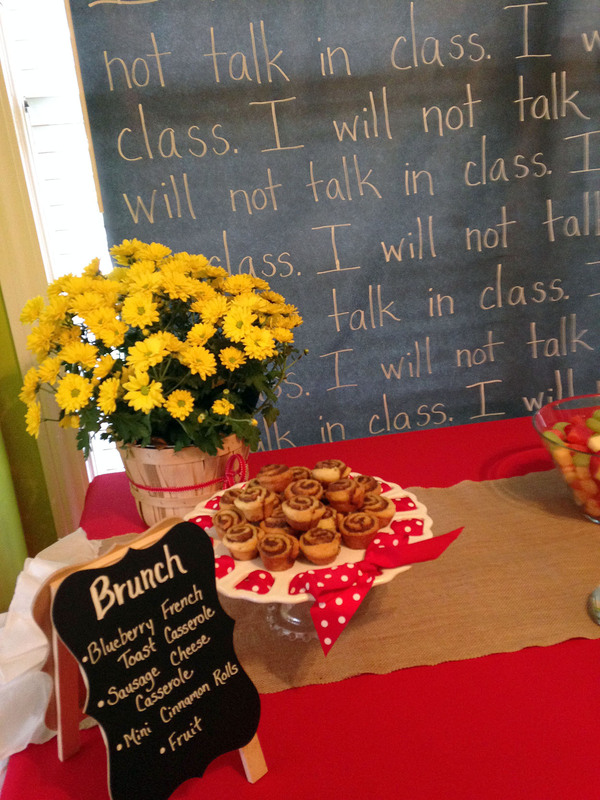 Last year, I thought if might be fun to host a Back to School Brunch for some fellow mom friends. We needed to celebrate, too…making it through another summer and keeping the kids (mostly) happy and getting everyone ready for that first day of school (think school supply shopping, choosing new backpacks and lunch boxes, and completing all the school forms)! 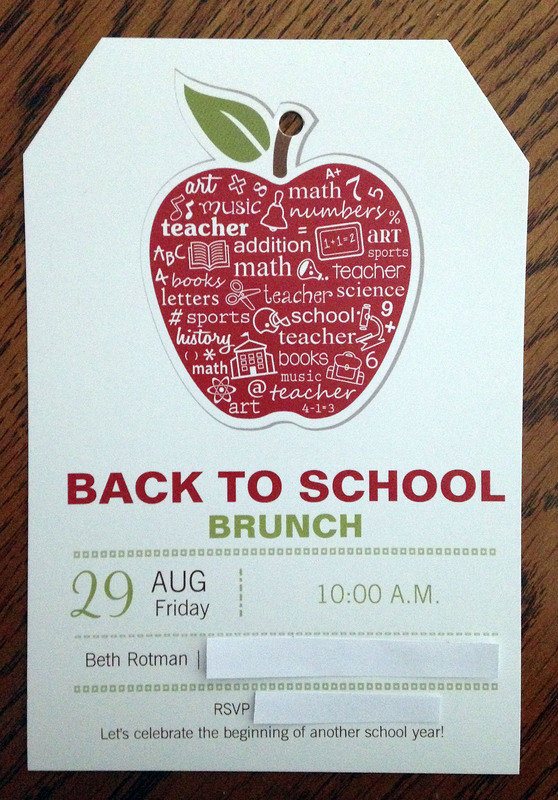 The former second grade teacher in me came out when planning this get together with my friends. 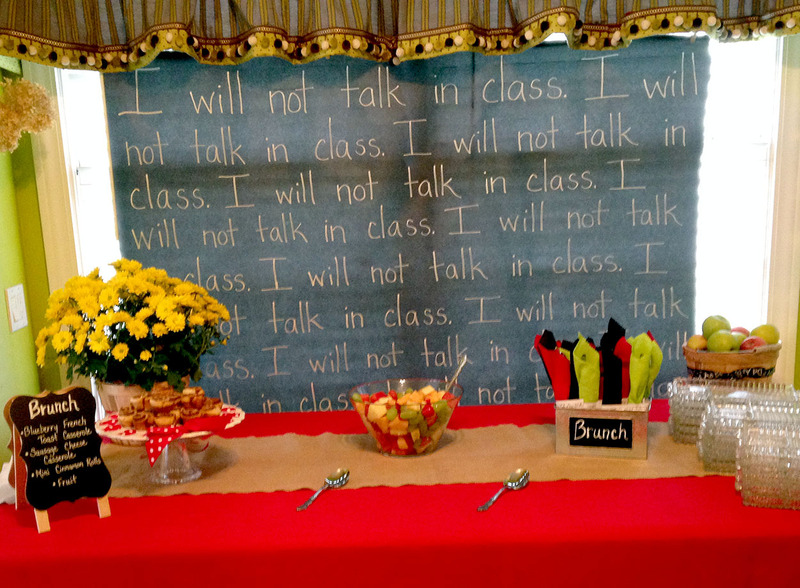 I thought of apples, school buses, chalk boards, and such when decorating. 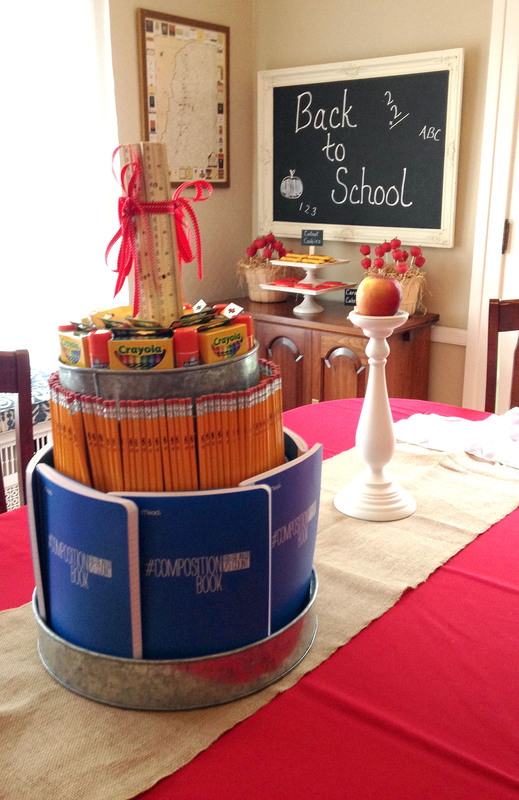 I think I spent more time at the local teacher supply store than the party store for this one! Seriously though, I was able to find some great items to use for table decorations there. 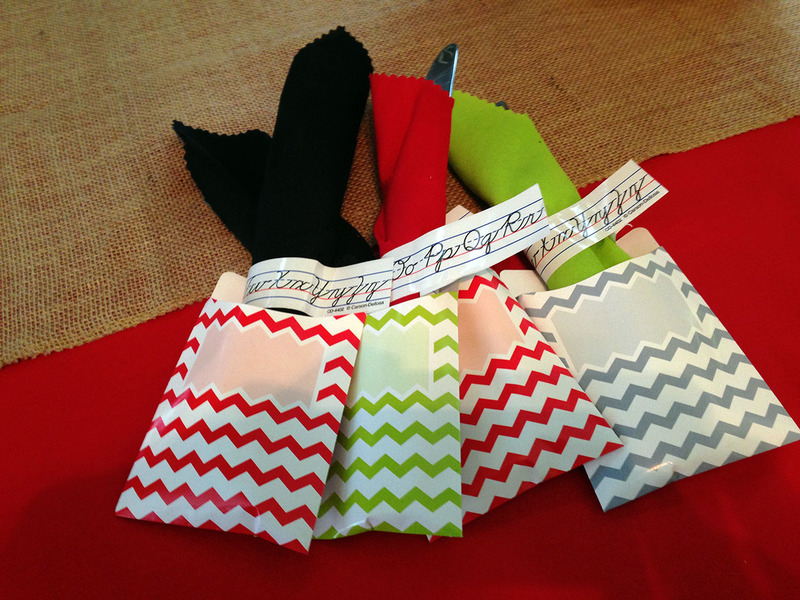 A simple red tablecloth with a burlap runner was perfect for the buffet table. 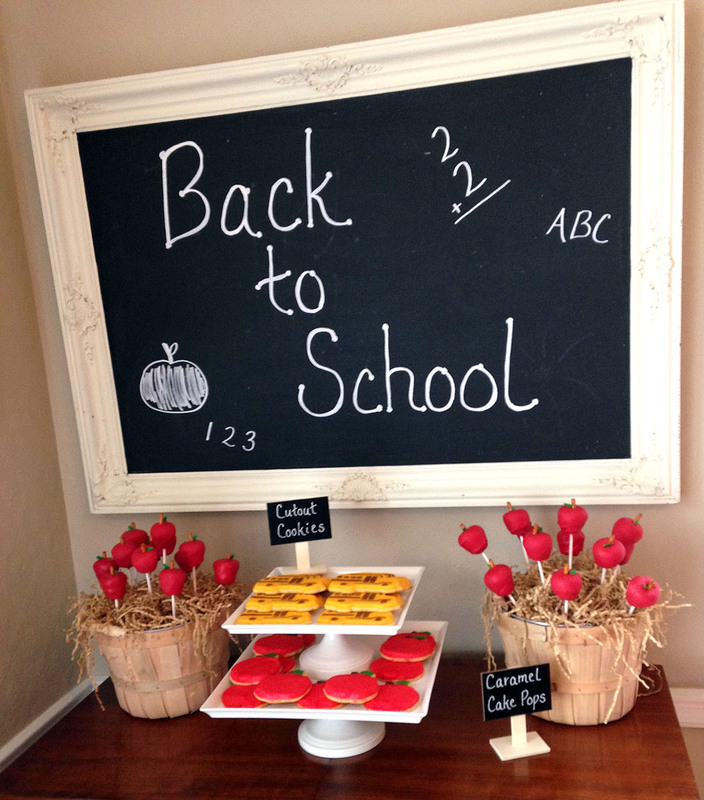 I created my own “old school” chalkboard for the backdrop, and baskets of apples and yellow mums made great accents. 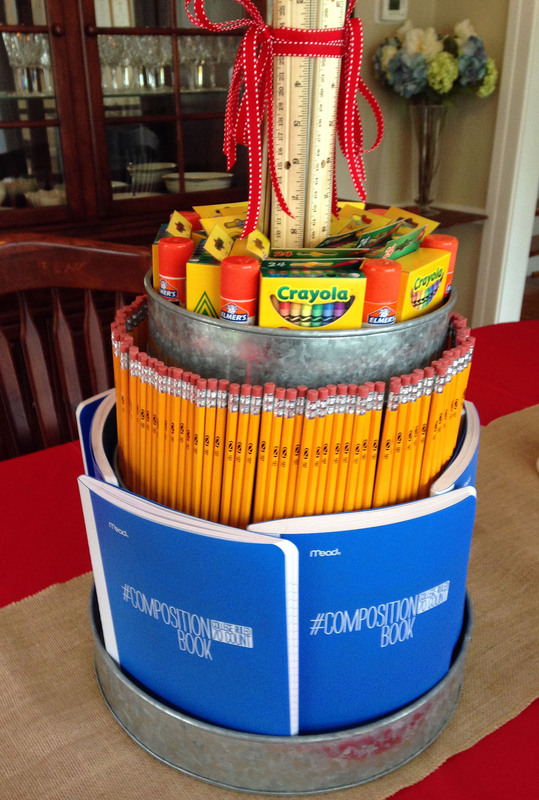 Other twists on the school theme included the centerpiece I made for the table using composition notebooks, rulers, pencils, gluesticks, and boxes of crayons. 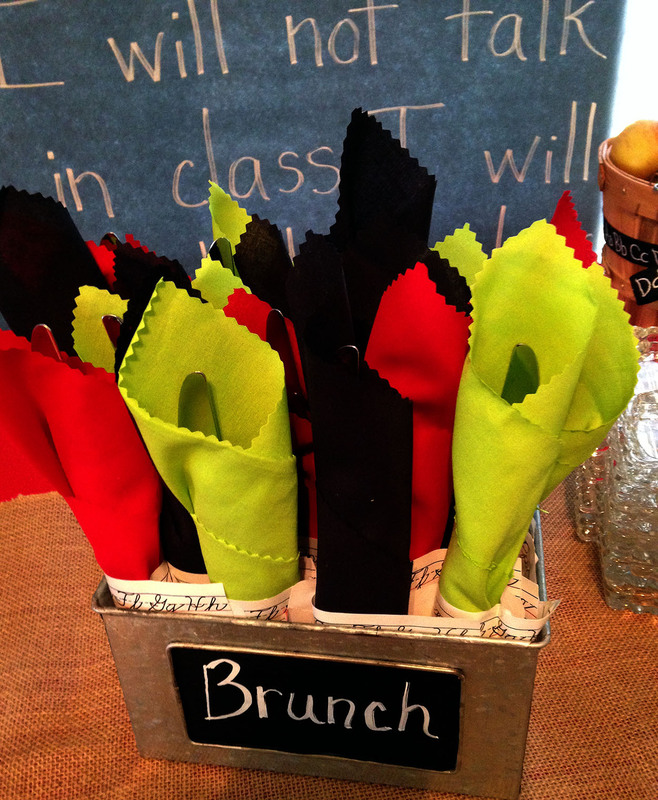 Another school-themed touch…wrapping the utensils in fabric and securing them with adhesive alphabet strips. 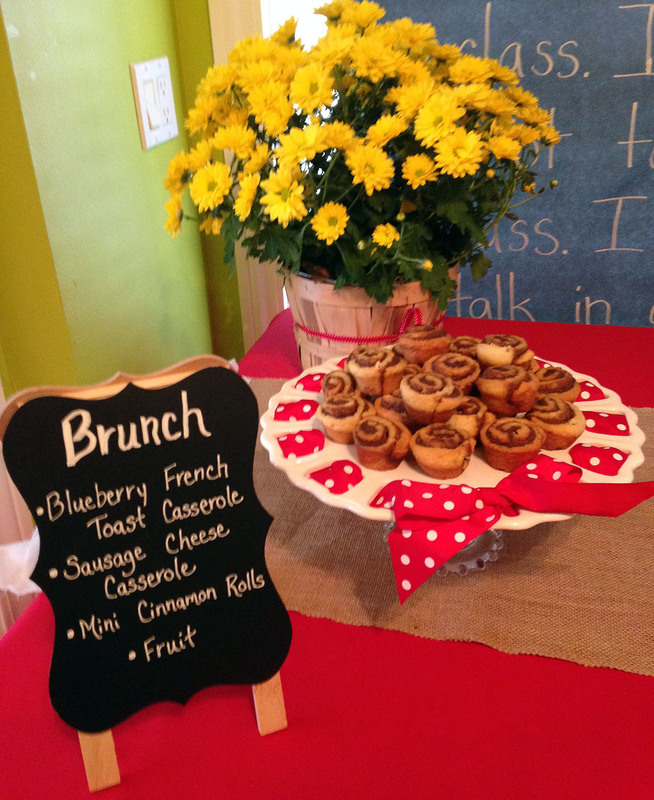 The menu consisted of comfort-type brunch food…a sausage cheese casserole, fresh fruit, mini cinnamon rolls, and a blueberry French toast casserole (click here for that recipe). 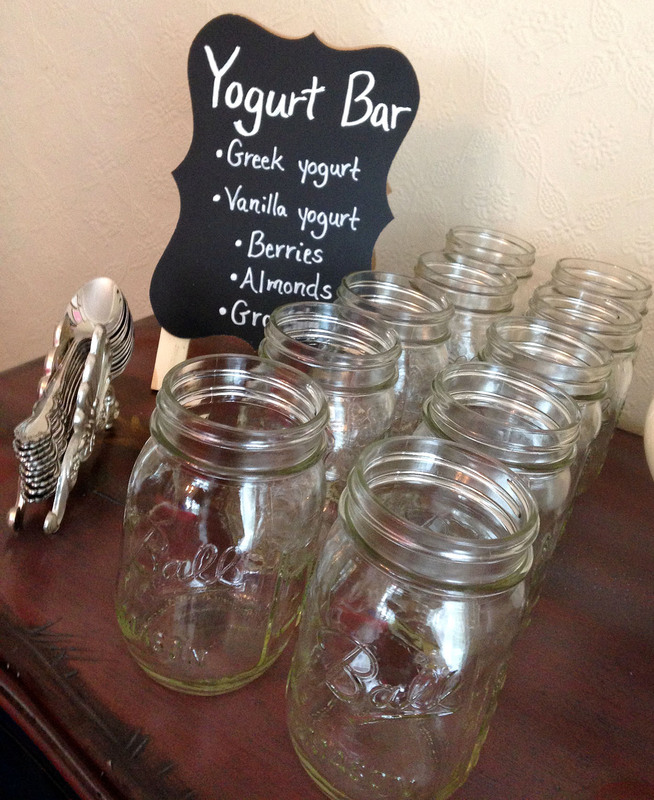 There was also a create your own yogurt bar, complete with all the toppings. 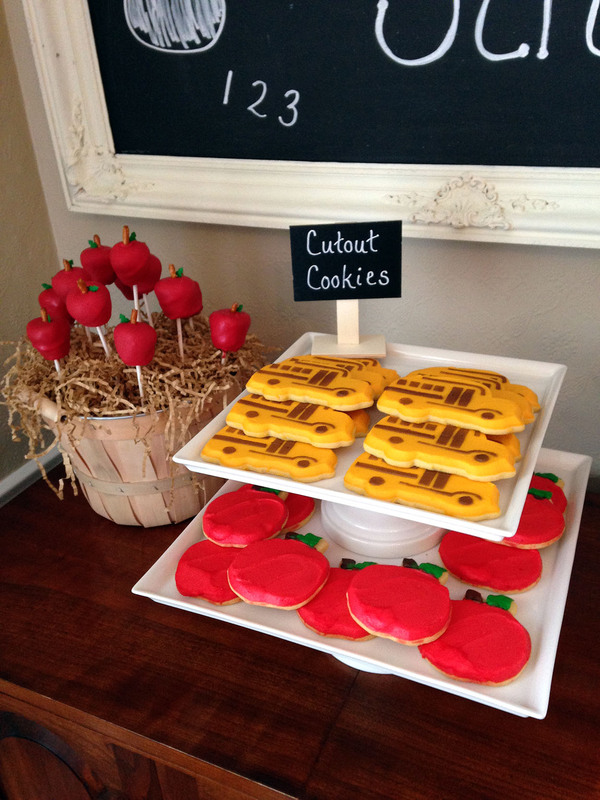 The brunch ended with some fun treats for the moms…bus and apple cutout cookies and apple-shaped cake pops (caramel flavor)! It was the perfect ending to summer, and a great way to reconnect with my mom friends as the new school year was beginning. OMG Beth, this is wonderful! 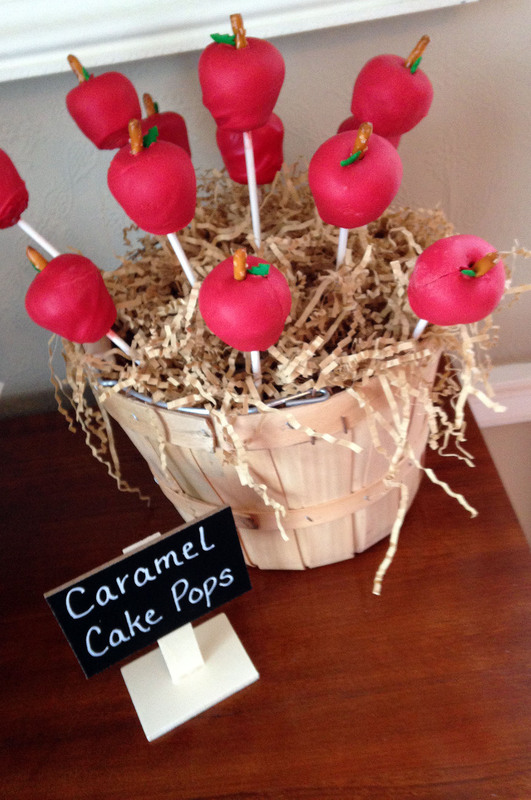 Apple shaped cake pops?? So appropriate! And the caramel flavor was awesome! Love all of your parties and decorating. Where do you find the time? I need to find a friend like you. Haha! 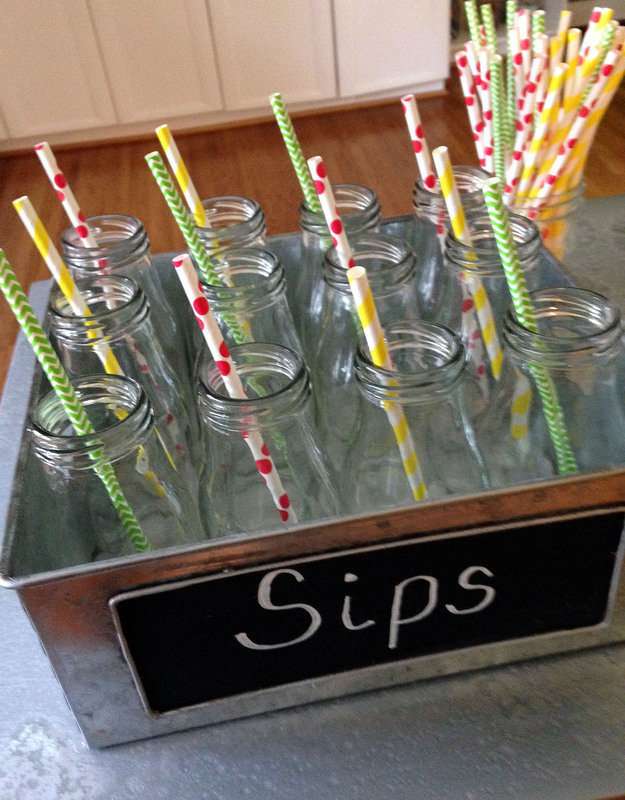 I love party planning, so it doesn’t feel like a chore or time commitment to me. I’m always thinking of the next event I can create. Awe, thank you! You just made my day!! !